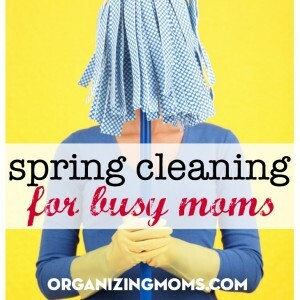 Welcome to the Spring Cleaning for Busy Moms Challenge! Yesterday, we cleaned out our microwaves. Today, we’re going to declutter kitchen towels. Focus on progress, not perfection. We’re not going for Pinterest-worthy images. We just want our homes to look and feel a little bit better. Each task should only take 30 minutes. If you want to work for longer, you can. But, if you really dedicate a good 30 minutes to the challenge each day, you’ll see great progress. Don’t work so long that you’re completely burnt out. Hydrate while you work. It will make you feel better, give you energy, and keep you going. Plan a reward for finishing each daily task. Help yourself stay motivated. It’s okay to miss a day. Sick kids, vacations, and busy days happen. If you want, you can make it up on the weekend, or on a day when one of the tasks doesn’t apply to you. The challenge isn’t designed to be done in a certain order. If you miss a day, or if one of the tasks doesn’t apply to you, just go ahead and start again with the next activity. Join our Facebook group for support. Share your before and after photos, talk with others, and make new friends! Set your timer for 30 minutes. But seriously, there’s no way this is going to take 30 minutes unless you have millions of kitchen towels. 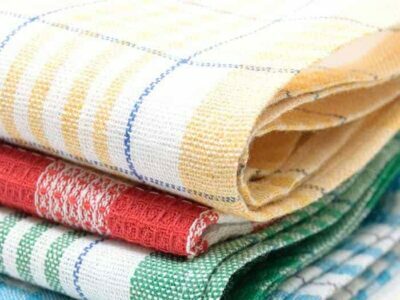 Find all of your kitchen towels, and set them out on your kitchen counter. Divide the towels up into categories: dishtowels, towels for drying stuff, washcloths, etc. Make a new pile for all of the stuff you don’t like. If there are towels that are gross, weird-looking, or don’t work well, put them in this pile. Take a look at the towels you have left. Are there enough towels here for you to manage your daily washing and cleaning activities? If not, put some of the towels that you don’t like back. Do you still have too many towels you’re keeping? Make a separate pile of your absolute favorite towels and plan on keeping those. Put away the towels you plan to keep. Put the towels you want to give away in a donate box, or in a box of things to sell at your next garage sale. 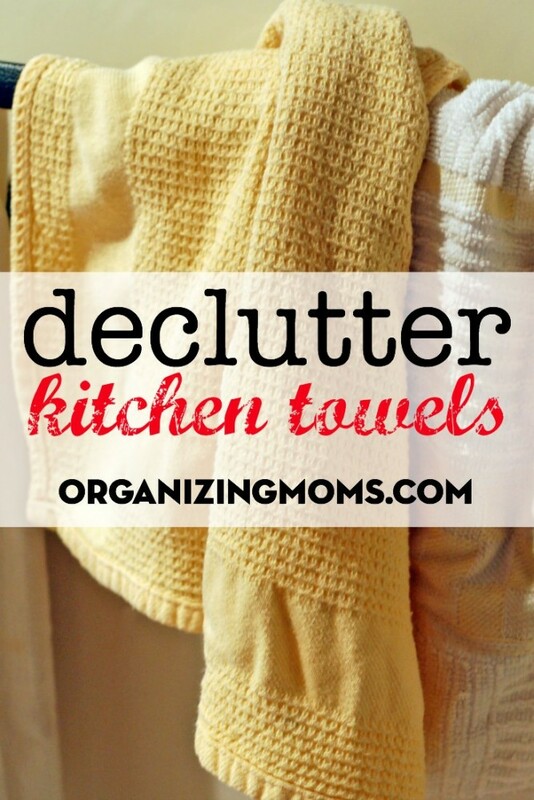 Marvel at the space you’ve created in your kitchen by decluttering your kitchen towels! Don’t worry if you don’t get through all of the above tasks. 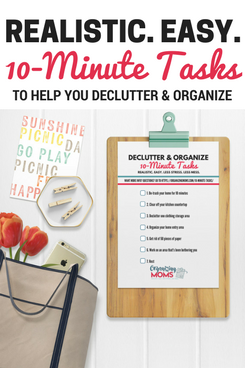 Remember – anything you do during this challenge is making your home a more-organized place! You’re making progress, and that’s not always easy to do. Way to go!